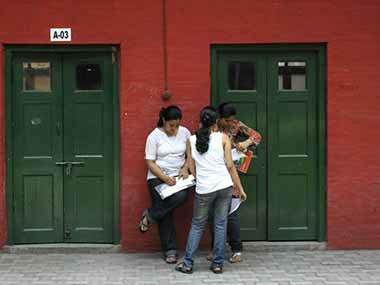 At least 179 results of the BSEB class 10 exam are yet to be declared, reports said on Saturday. However, board officials have said that they will be declared soon. The highest scorer of the BSEB class 10 exam, Savan Raj Bharti scored 97.2 percent. Bharti is a student of Simultala Awasiya Vidyalaya, and is eligible for a cash prize of Rs 1 lakh along with a laptop and a Kindle e-reader. Five students, including the first topper Sawan Raj Bharti, is from the Simultala Awasiya Vidyalaya, reports said. The pass percentage of this year's exam is 80.73 percent, which is a new record for Bihar. 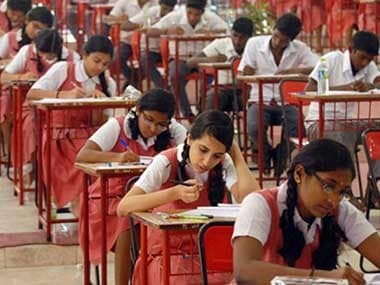 The class 10 exams were conducted across 38 districts and 1,418 exam centres in two shifts between 21 and 28 February. The BSEB declared the class 10 board exam results today and Sawan Raj Bharti is the topper among the 16.6 lakh students who appeared for the exam, The Indian Express reported. Candidates are required to send the message BSEBROLLNUMBER to 56263 to get their result on their phones in the form of a text message. The results of the BSEB class 10 exam can be expected shortly as the Bihar board officials have arrived at the venue. The topper of the BSEB class 10 exam will be given a cash prize of Rs 1 lakh, reports said. The highest scorer will also be gifted a laptop and a Kindle e-reader. The second and third toppers will get Rs 75,000 and Rs 50,000 respectively. Students who wish to apply for re-evaluation can do so through the procedure detailed on the site. The process requires a nominal fee. The results are likely to be declared shortly. Media personnel have arrived at the BSEB press conference which is scheduled to begin at 12:30 pm. However, News18 reported that Bihar Board officials are yet to arrive. The presser will begin after BSEB Chairman Anand Kishore arrives and the Bihar Board 10th result 2019 will declared after that. Students checking their BSEB class 10 exam result will need their board roll number and date of birth details ready to log on to the website. BSEB chairperson Anand Kishor is expected to release the results of the Class 10 examination in a press conference scheduled to begin at 12.30 pm. The Bihar School Examination Board (BSEB) is a statutory body of Bihar School Examination Board Act, 1952. It functions under Bihar government and is instituted to conduct examinations at the secondary and senior secondary level in both government and private schools, reports said. BSEB Chairman Anand Kishor is expected to release the Bihar class 10 board exam result and announce the name of Bihar topper at the press conference at 12: 30 pm. In addition to logging on to the official website to see the scores, candidates can also receive their result via SMS. The procedure is: Send BSEBROLLNUMBER — to 56263 . The result is expected to immediately get delivered. The BSEB class 10 examination was conducted between 21 and 28 February this year. In 2018, the pass percentage was 68.89 percent overall. This was an 18 percent rise from the pass percentage in 2017 which was 50.12 percent, and an almost 20 percent rise from the level in 2016, which was 46.66 percent. 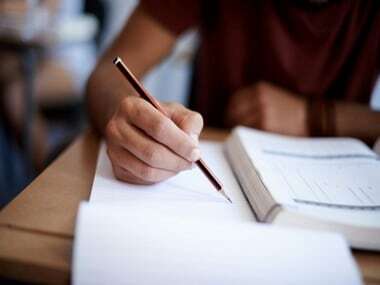 For the 2019 examination, the BSEB directed the students to not wear shoes or socks, in an effort to curb instances of cheating and other prohibited behaviour. The students were asked to wear slippers or flip flops while writing the BSEB class 10 exam this year. Candidates checking their class 10 exam scores on the BSEB website are advised to keep their admit card and other credentials ready as the website may be slow due to high traffic. With credentials ready, students can log in on the site and download the BSEB matric result effectively. The BSEB, or Bihar School Examination Board is scheduled to announce the results for the BSEB Class 10 examination on Saturday at 12.30 pm. The results will be declared on the school board's official websites — bsebinteredu.in, biharboardonline.bihar.gov.in, and biharboard.ac.in. Candidates are required to send the message BSEB<space>ROLLNUMBER to 56263 to get their result on their phones in the form of a text message. In addition to logging on to the official website to see the scores, candidates can also receive their result via SMS. The procedure is: Send BSEB<space>ROLLNUMBER — to 56263 . The result is expected to immediately get delivered. In 2019, a total of 8,37,075 girls and 8,23,534 boys wrote the BSEB Class 10 board exam. Last year, 17,70,000 students in all had appeared for the BSEB Matric examination in Bihar. BSEB will also provide results through SMS. In addition to logging on to the official website to see the scores, candidates can also receive their result via SMS. The procedure is: Send BSEB<space>ROLLNUMBER — to 56263 . The result is expected to immediately get delivered. The BSEB, or Bihar School Examination Board is scheduled to announce the results for the BSEB Class 10 examination on Saturday. The results will be declared on the school board's official websites — bsebinteredu.in, biharboardonline.bihar.gov.in, and biharboard.ac.in. Candidates can also check results at examresults.net. The exams were held from 21 February, 2019 to 28 February, 2019. This year's exam saw at least 8 lakh girls and boys each, take the matric exam in Bihar, across 1,418 centres. The BSEB board is reportedly the first state board to declare the results for the class 10 board exams in the current academic year. 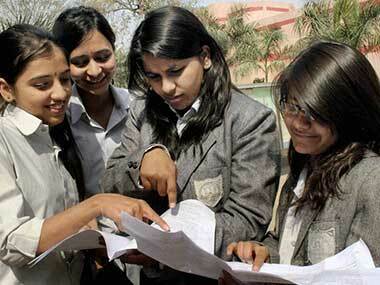 The BSEB has also already declared the intermediate or class 12 result. According to reports, close to 80 percent of the students passed the Bihar class 12 board exam this year.